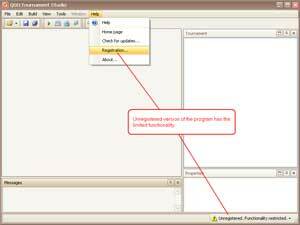 Unregistered version of the program has the limited functionality. 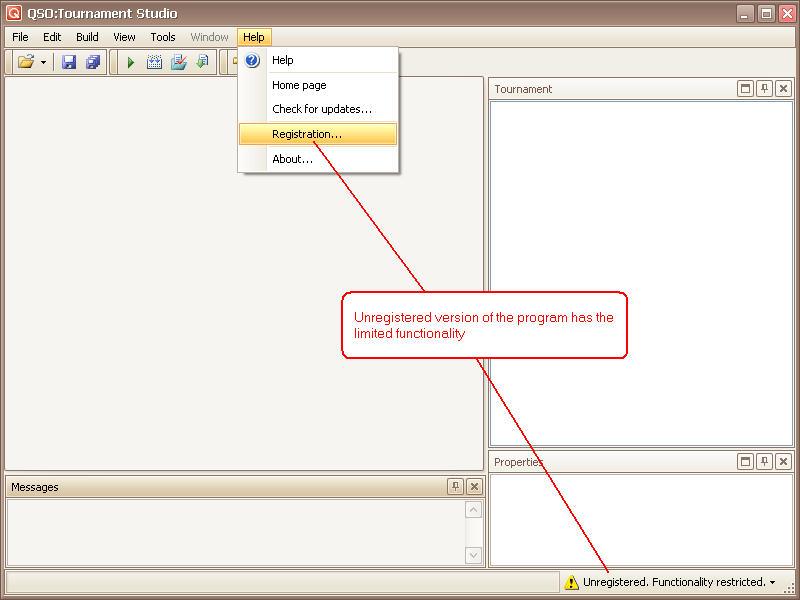 Unregistered version of the program shows a sign of the limited version in the right bottom corner of the main form and contains in the menu "Help" point "Registration...", allowing to make program registration. 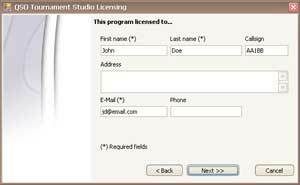 Create inquiry about licence reception. Run program on that computer on which its further operation is supposed. 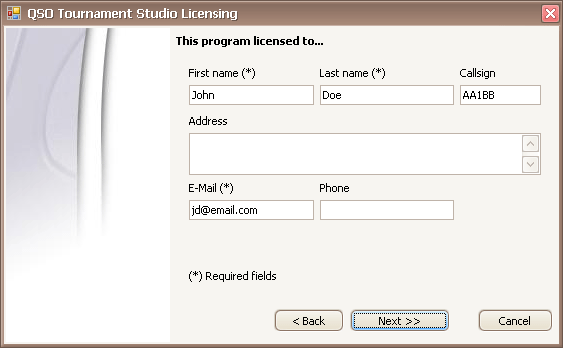 Will execute a command "Registration..." from the main menu "Help" (or from the emerging menu of a sign of the limited version). The master of registration will be started. Choose the license process mode: "Make request for new license". 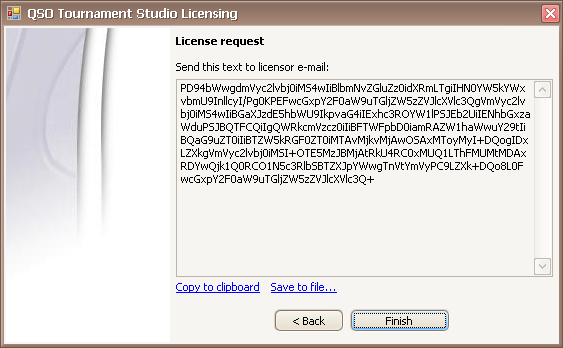 Enter a name, surname, call sign (if is), e-mail address of the license owner. Completely without distortions it is necessary to send the text of request by e-mail on rv3yr@mail.ru address or icq: 118778954. 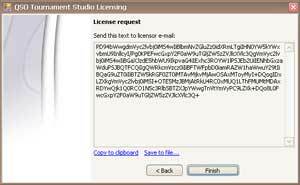 For convenience of transfer of inquiry take advantage of commands of the master of licensing "Copy to clipboard" or "Save to file...". Click "Finish" button. Close the master of licensing and wait licence receptions by the made inquiry. 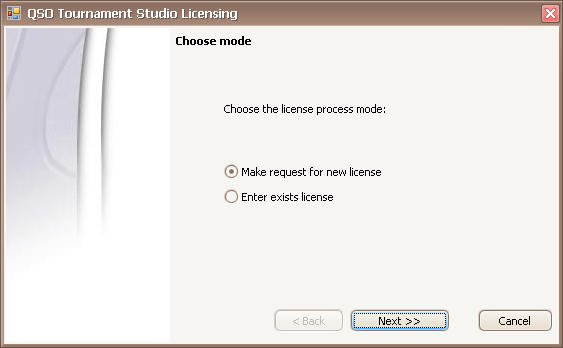 After licence reception (the text similar to the inquiry text), again will execute a command "Registration..." from the main menu "Help" (or from the emerging menu of a sign of the limited version). The master of performance of registration will be started. Choose the license process mode: "Enter exists license". 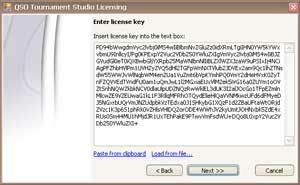 Enter in the field of input of a licence key the received text (without distortions and completely). 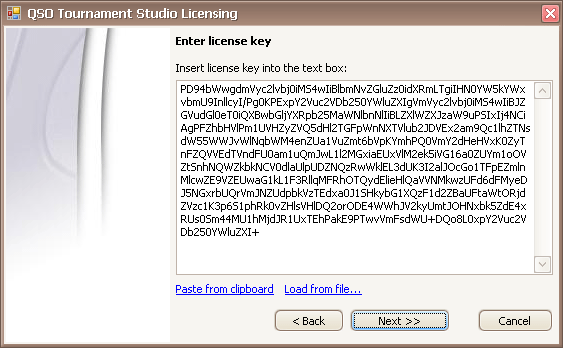 It is possible to take advantage of commands "Paste from clipboard" or "Load from file...". 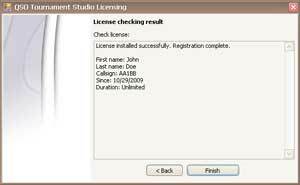 If all has been made correctly and accurately the licence will successfully be established. 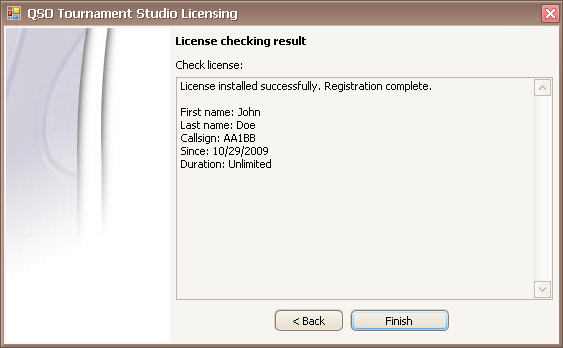 It is possible to close the master of licensing and to start to work with the program.